Theresa May issued an obscure-sounding statement to parliament on Thursday. It revealed the text of secret instructions she gave to Britain’s MI5 domestic intelligence agency last year. It included rules for the oversight of agents committing criminal acts in the line of duty. This is the first time the government has explicitly admitted that its agents commit crimes. The government made the admission after a campaign by human rights activists. LONDON – The British government has quietly acknowledged for the first time that it lets agents break domestic law to keep the country safe. The admission was contained in a formal statement describing secret instructions issued by the Prime Minister to Britain’s security agencies, which include MI5 (domestic intelligence), MI6 (foreign intelligence) and GCHQ (signals intelligence). That reference to “criminality” is the first time that the government has said publicly that agents sometimes break the UK’s own laws. 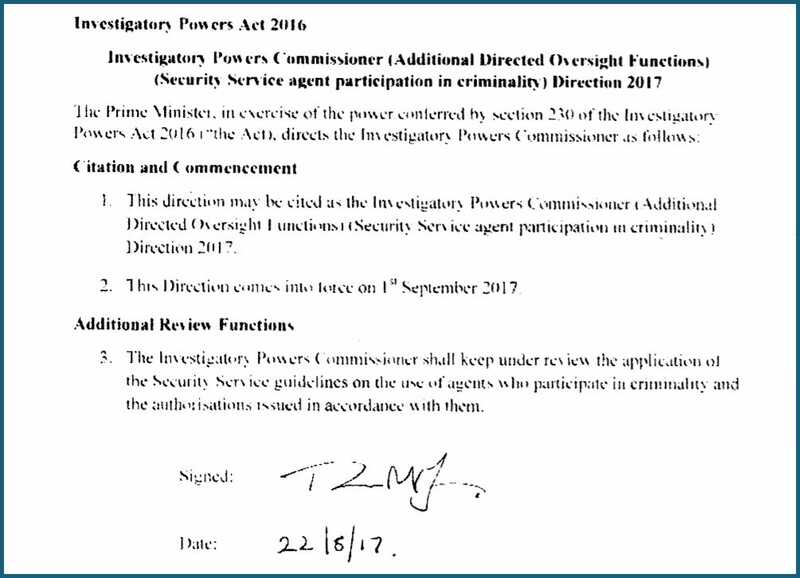 The full statement was submitted in the name of Prime Minister Theresa May, and describes an instruction she issued on August 22, 2017, designed to expand the powers of a government official, The Investigatory Powers Commissioner, to oversee MI5. Though it seems minor, the statement was a rare insight into the world of the UK’s tightly-guarded intelligence services and how they operate. Human rights group Reprieve claimed the publication as a victory in their campaign to make more of the intelligence services’ activities public. 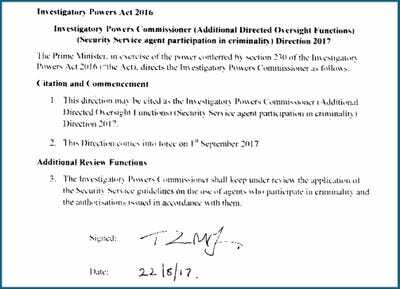 It was published after Reprieve and Privacy International launched a legal action against the government the Investigatory Powers Tribunal, a special court which handles cases to do with the security agencies. A spokesman for Reprieve told Business Insider that the government published its statement as a result of the challenge, probably to avoid the prospect of being forced to make even more disclosures. The group has started a petition asking the government to reveal the substance of the guidelines on criminal action, rather than simply the fact that they exist. UK legislation already explicitly allows MI6 and GCHQ to break the law in countries.